That "quicker picker upper" Bounty spokeswoman, with Emmy and Tony nominations, Rhoda's mom Ida, yes... Nancy Walker with Sid Bass and his Orchestra. Songs of a scorned woman? No, just light hearted irritation of relationships, i guess. The title track was from "Kiss Me Kate", in fact all the songs are from broadway shows. Enjoy! 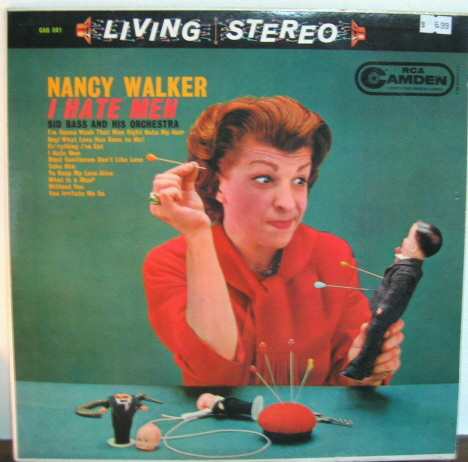 Nancy Walker also directed the Village People's movie "Can't Stop the Music". 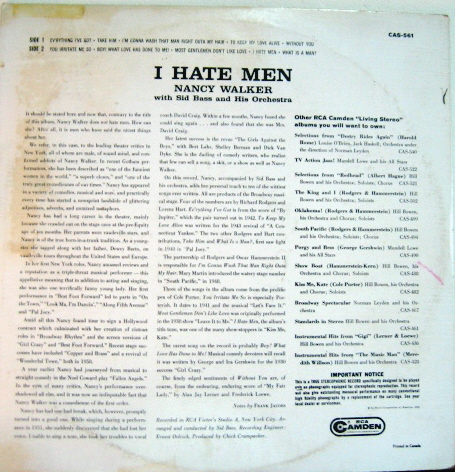 Apparently she didn't hate ALL men. If I didn't know better, I could swear that this was Bette Midler. Am I nuts or what? "To Keep My Love Alive" is a long-treasured item in my download collection, posted on this very blog during marathon one year as a freebie off someone's (Charlie's?) prior pledge premium. Now I've got the whole album!! My daughter is glad 365 days is drawing to a close. Kids today don't understand quality. She was a Broadway star back in the day: Best Foot Forward (she was also in the film version in case you want to see her sing and dance with June Allyson), On The Town (she's on the original broadway cast recording), and Do Re Mi. 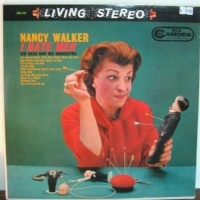 Wow, Nancy Walker is really being mean to her Pee-Wee Herman doll. Nancy also played the maid in MacMillan and Wife which starred Rock Hudson and Susan Saint James. She also palyed a deaf mute maid in Neil Simon's Murder by Death. I had the great privilege of working with Ms Walker in "Wonderful Town" at the Pittsburgh Civic Light Opera. She, of course was great as Ruth Sherwood. In one week she taught me more about playing comedy that I ever learned during the rest of my career.